The warmup trousers are now available online! Click here to shop. The Merde Flowy Long Sleeve Top is out of stock in small until approx. April / May 2019. If you don’t want to wait, you could consider getting a medium as the top runs small and is a relaxed fit. Our beautifully crafted wrap skirts have been created to make you stand out from the crowd and accentuate your individuality. 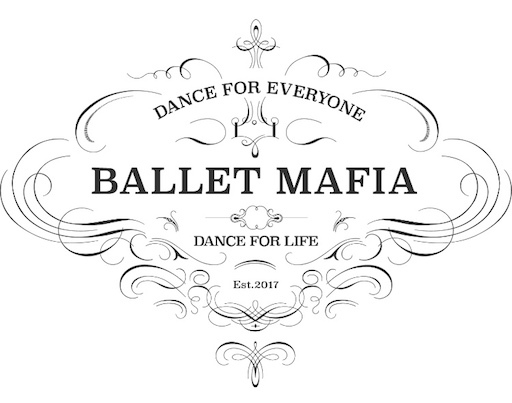 Each skirt comes in a special Ballet Mafia drawstring bag to keep it protected when you’re not dancing. 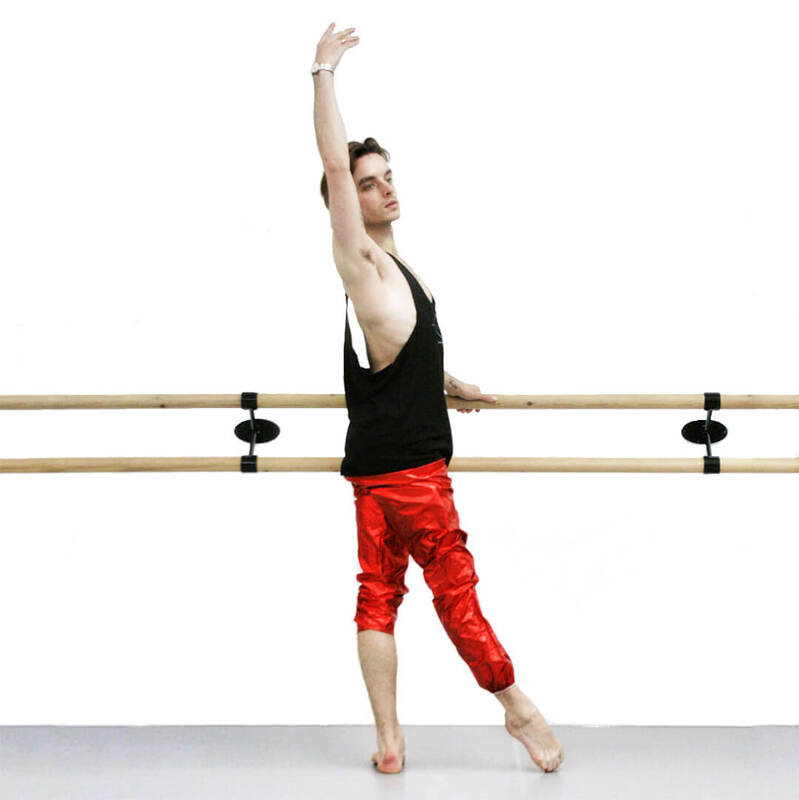 Our new unisex Ballet Mafia warm up trousers will turn you into a true gem at the barre and make you shine brighter than everyone else. They are designed to turn heads, keep you warm and make you sparkle. 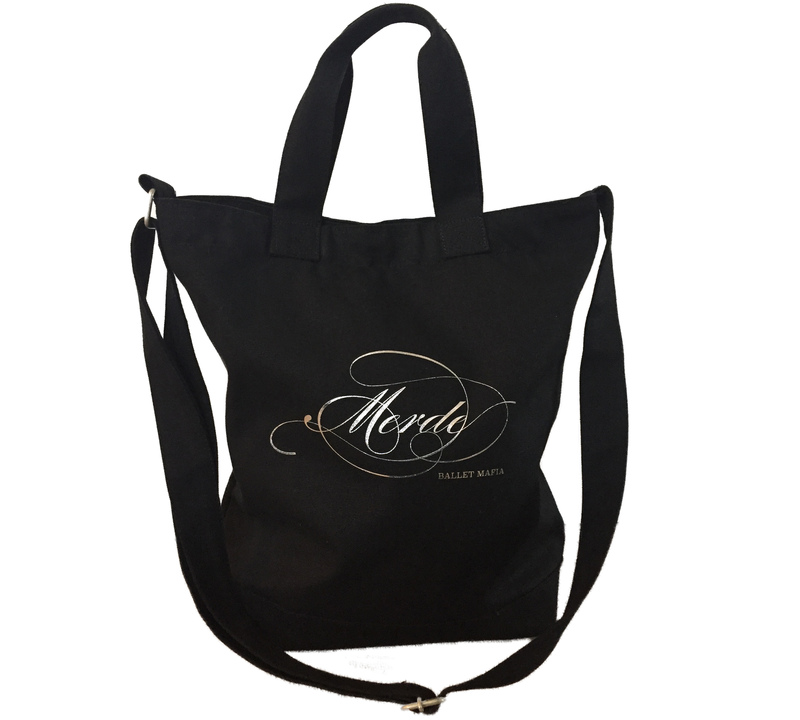 Our signature collection includes high quality t-shirts, muscle shirts, flowy long sleeve tops, accessory bags, medium sized cross body bags and large tote bags. 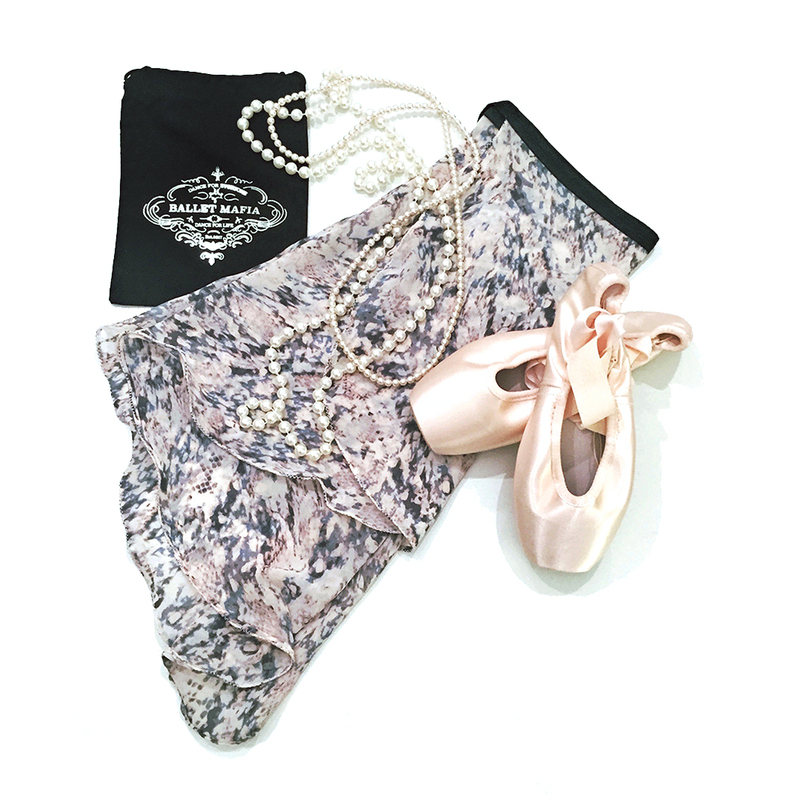 All feature the stylish signature silver ‘Merde’ print alongside some obligatory Ballet Mafia magic. Why Merde? Find out here. Our beautifully crafted products are worn by artists and top athletes around the world. Each product you buy supports English National Ballet’s Dance for Parkinson’s programme and promotes our ethos that dance is for everyone and for life.